The next wave of electronics, using organic thin film transistors instead of silicon, is gaining momentum with new research by engineering faculty at the University of Nebraska-Lincoln and Stanford University. In the Jan. 8 edition of the journal Nature Communications, the research team applied an "off-center spin coating method" to make a semiconductor device with organic thin film transistors, or OTFTs. This innovative coating method significantly improved carrier mobility -- how quickly electrical charges travel -- in the device. The development means less costly materials could be used for electronics, improving computer displays and TV screens via higher resolutions, and better motion and animation renderings. Jinsong Huang, UNL assistant professor of mechanical and materials engineering, and Zhenan Bao, professor of chemical engineering at Stanford, worked together on developing this alternative method for thin film coatings of semiconductor materials with the aim to develop both high performance and transparent flexible flat-panel displays and sensor technologies. In processing semiconductors for electronics, thin film coatings are traditionally applied from a single center point. 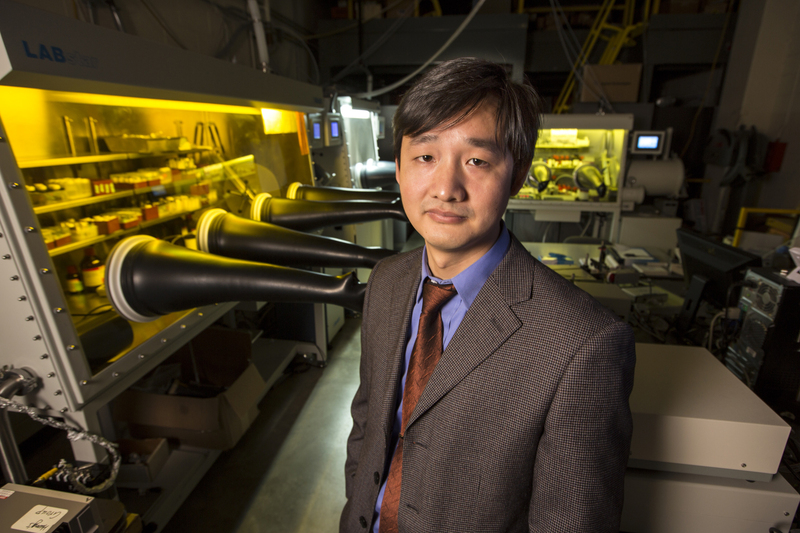 Yongbo Yuan, Huang's postdoctoral associate working at UNL's Nebraska Center for Materials and Nanoscience, applied the unidirectional force for the coating formation. Tests showed the result increased hole mobility (how quickly electrons can move through a metal or semiconductor) to a record level for OTFT devices. Huang said this is the first time the mobility of an organic semiconductor thin film reached the level of performance well within range of polysilicon materials typically used in modern high-end electronics. These new outcomes, he said, also show high transparency of more than 90 percent over the visible spectrum, indicating the potential for transparent, high performance organic electronics. The work is funded by awards from the U.S. Defense Advanced Research Projects Agency, Air Force Office of Scientific Research and the National Science Foundation.